Shizen is 100% vegan and 110% creative. Our sushi roll arrived on fire, the spicy garlic edamame arrived with a worm in one of the shells (I guess it's organic), and the server poured everyone a complementary glass of Sake for a toast- this new restaurant is full of surprises! 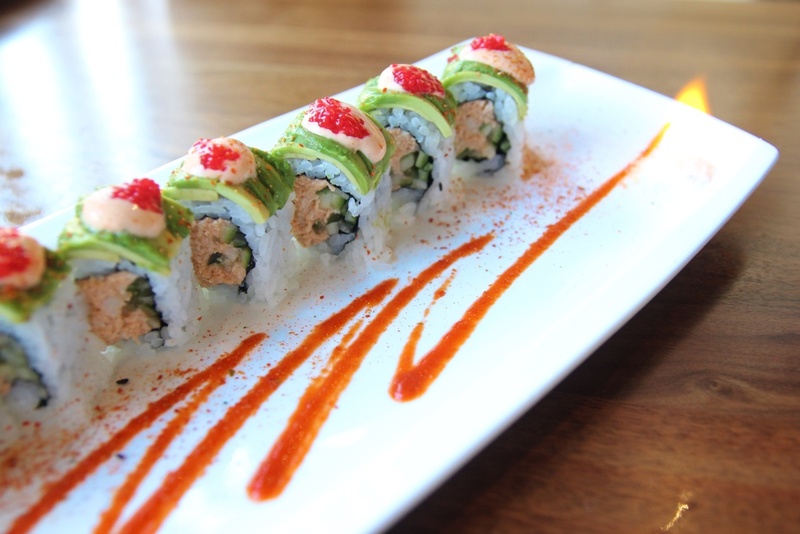 Vegan sushi is a trending and perplexing idiosyncrasy because most people associate sushi with raw seafood. However, Shizen utilizes fruits, vegetables, roots, beans, and seeds to design their eye-popping and flavorful menu. Each of us had a bowl of spicy garlic miso ramen as our main dish, and we also shared several other imaginative appetizers and rolls. There is no egg or pork in these bowls of ramen. Instead, bean curd chashu, bamboo shoots, tempura mushroom, grilled mushroom, nori, and green onion fill these steamy bowls. We shared a cold, small plate called Nimono. Earthy yet sweet in flavor, it had lotus root, pumpkin, carrots, and daikon in a konbu dashi. We also shared two rolls. First we tried the Candlestick. I thought this was a tribute to SF's beloved Candlestick park, but after the waitress set down the plate before us I realized the the name comes from the roll actually being on fire. Next we tried the Futomaki with agedashi tofu, spinach, shitake, kanpyo, and inari. Everything on the menu looked tasty, so I would love to come back here and try a completely new combination of small plates and rolls on the menu.